RICHMOND - A former Virginia news anchor whose journalist girlfriend was fatally shot during a live broadcast in 2015 has defeated a Republican incumbent for a seat in the statehouse. 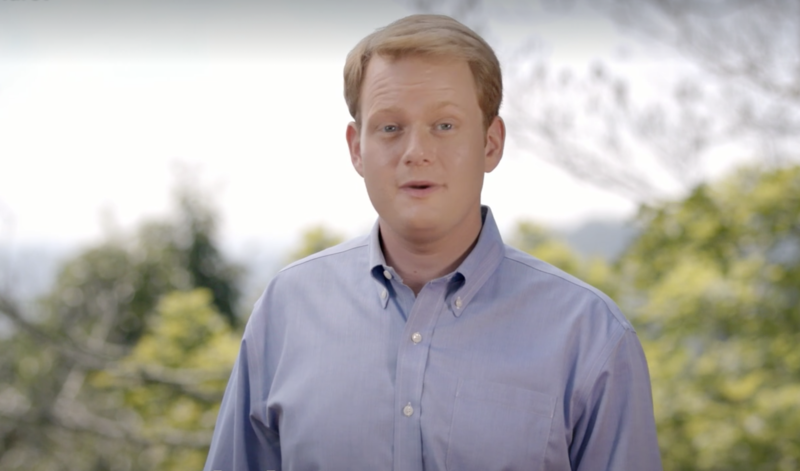 Chris Hurst was living with fellow journalist Alison Parker when she and a cameraman were killed by a former co-worker while reporting for WDBJ-TV. After the shooting, Hurst became the public face of the grieving Roanoke station. That brought him national attention and a large social media following. The Pennsylvania native quit his TV job and moved to Blacksburg to run for a House seat. He beat Joseph Yost, a three-term incumbent, Tuesday. Hurst's name recognition helped the first-time Democratic candidate raise over $1 million for his campaign, Roanoke.com noted. Yost, too, spent over $1 million on his campaign. The news site also reported that Hurst was also able to win substantial support from college students at Virginia Tech and Radford University. The student support there was critical for Hurst in conservative counties that otherwise supported Yost. Hurst's campaign was backed by gun-control groups, but that wasn't his main campaign issue. Instead, he focused on education, health care and the environment.